Most of the students are familiar with the term ornithology. Detailed and complete study on birds is termed as ornithology. Here the word completes denotes the scientific study of birds. Basically ornithology is the branch of biology and is derived from the sub-branch of zoology. Birds are beautiful creatures that are important part of nature. They vary in shape, color, sizes, habit and behavior. Some birds like pigeon just feed on grains whereas other like vulture depends on the flesh. Some birds produce sweet sounds like that of cuckoo whereas other produce irritating noise that is unpleasant to the ear like that of crow. Likewise, some birds can be seen during the day while others are seen during the night. So, they vary in several respects thus creating a chain of life in the ecosystem. When birds are part of nature, several questions can be raised up in our mind which includes: how can they fly? What is the organization of their body plan? Why cannot we fly like that of birds? Hence, in order to solve these doubts and queries, proper study on the birds is required. This study uses some scientific instruments and well developed technology to look into the anatomical organization of the birds. Thus this study is conducted by ornithologist. There are many facts and information that are disclosed by the ornithologist working with the bird. They study about the morphological and anatomical characteristics of birds, their feather and the presence of scale in the body. They are always enthusiastic to find about the way birds fly and organs that help in the effective flight. Many Ornithologists are focused in studying about the habitat of birds, their feeding habit, locomotion and protection and most importantly their relationship with the environment. Others are there who are interested about the origin and evolution of the birds. Hence, there are lots fields and area of research where students can work and research on birds. These are some of the points that an ornithologist need to study in this field of biology. Apart from this, mating behavior, pattern of migration, their ecology are all dealt in this branch of zoology. Birds are important part of nature and play a major role in conservation of the environment. The change in their behavior and unexpected disappearance from their natural habitat can be sign of some danger to the ecosystem. Beside this, they participate in many other environmental activities like pollination of flower, dispersion of seeds, etc. Hence to maintain the natural beauty and the normal cycle in the ecosystem, study on birds and their conservation is very important. Students who love nature and are interested in extracting the information about the natural components (precisely birds) can pursue this field. There are lots of job opportunities for the students in many governmental and non-governmental organizations. They can work as a researcher, lecturer, or as a wildlife biologist. They can even find a good job in popular zoo in order to provide information about birds. It all depends upon student’s interest and passion for this subject. 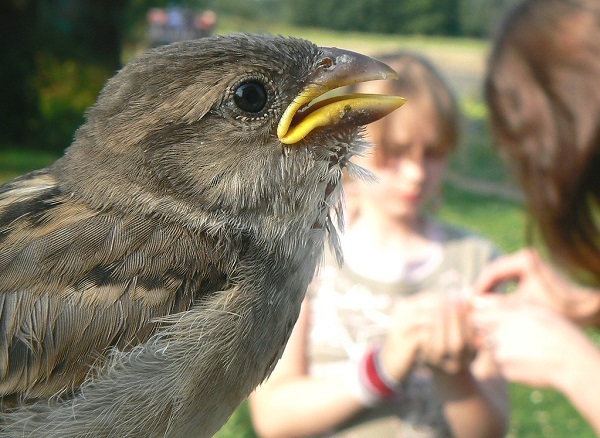 Ornithology is merged with many other branches of science like genetics, molecular biology, cell biology, evolutionary biology and every linked subject provides information according to the related branch which means that in cell biology students can learn about the different cell and their functions that operate in birds. So, ornithology is one of the appealing subjects that provide detail account on birds. Though initially, it would be worthless to expect a large pay or get established in some good institution or research centre, but if they try harder and make up their mind to achieve their goal, they can surely set up stable platform in this field.